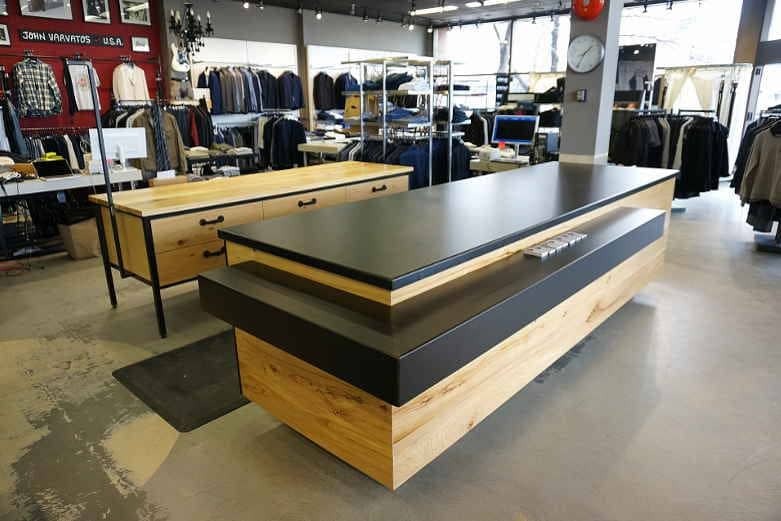 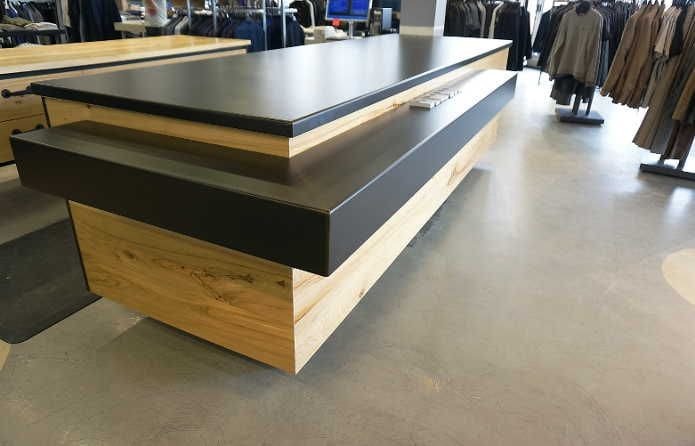 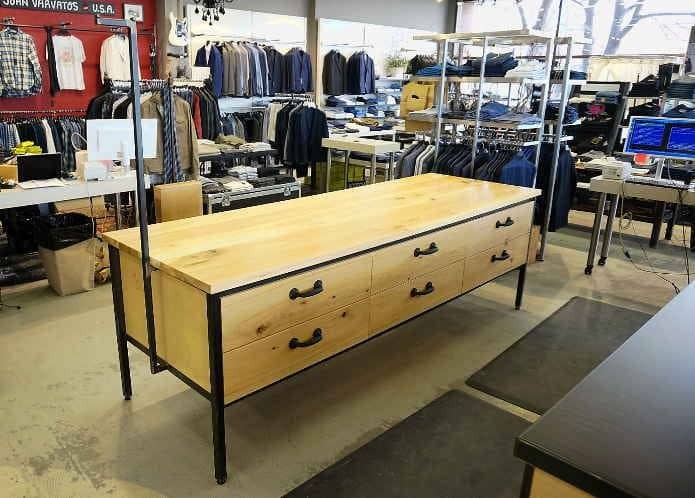 Danali Clothing in Winnipeg looked to update their space with a unique revision of their cash desk and workstation table for folding and packaging their high end garments and products. 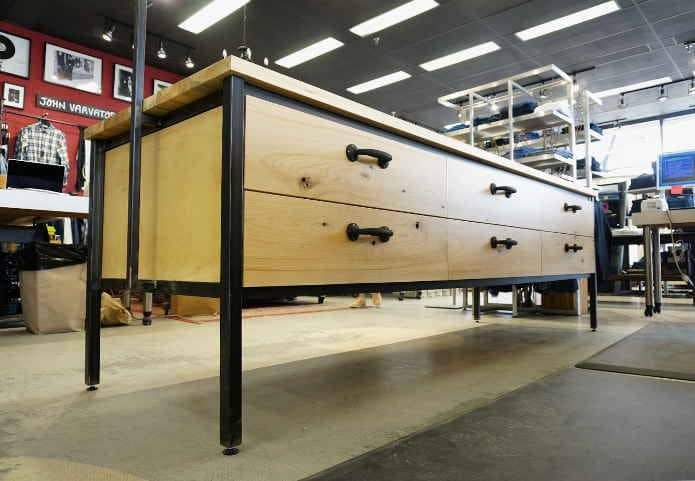 This project was a collaboration of design/build with Bruce Shefrin Interior Design who designed the pieces and Lucien Woodwork who built all the cabinetry with Wood Anchor fabricating the wood and steel details. 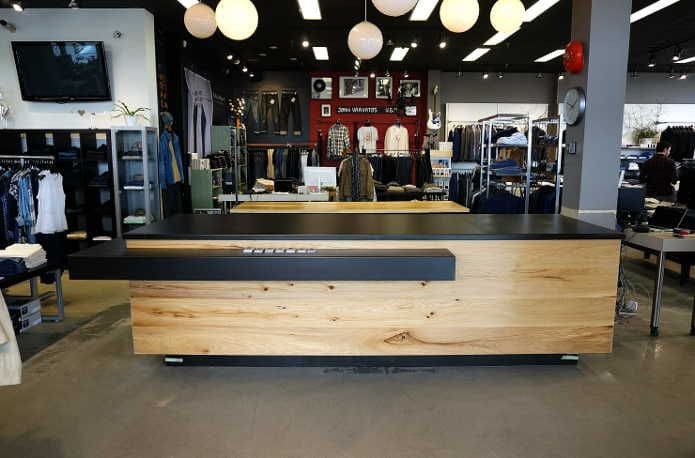 We cladded the cash desk with beautiful 11 foot long full length wide laminations of Elm. 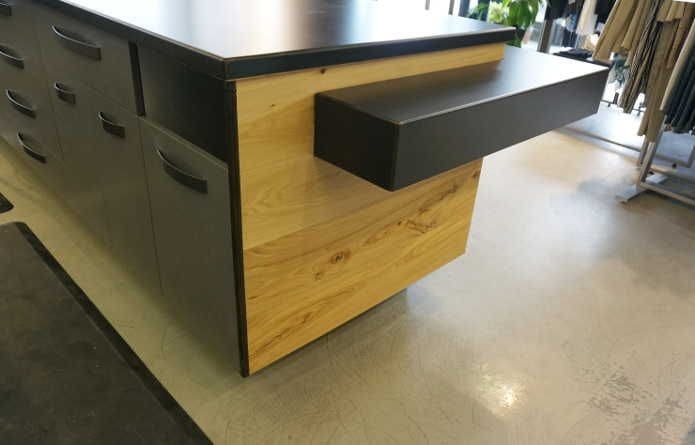 The Elm was also utilized on the workstation featuring a 1-1/2″ thick solid wood work top. 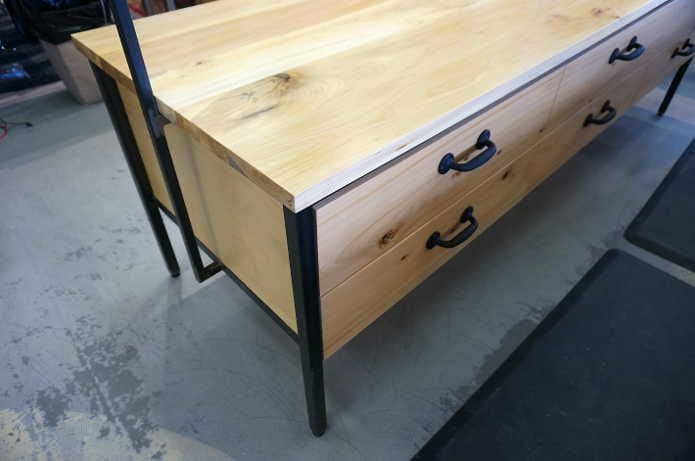 The work station drawers feature solid wood Elm doors that we milled from two beautiful book-matched slabs. 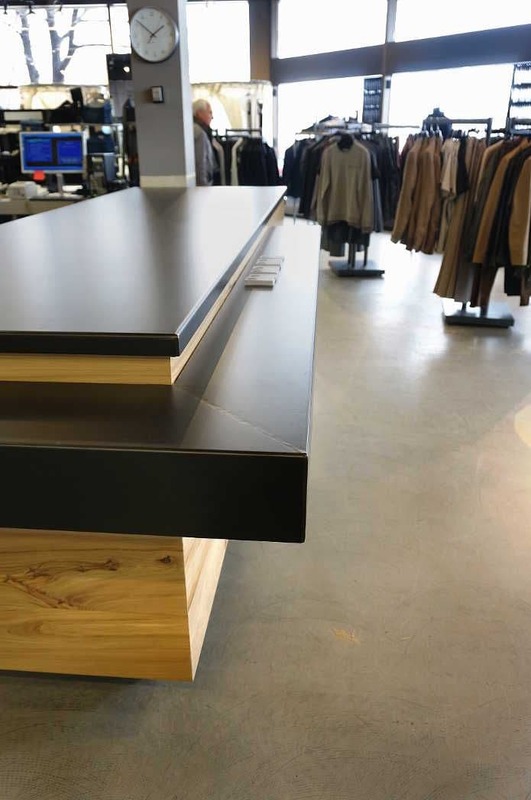 We built and fabricated the steel framing on the workstation, the steel shelving and countertop featured on the dash desk. 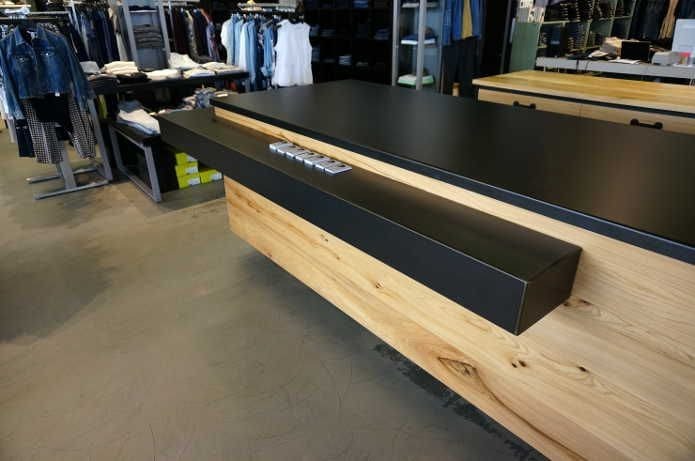 The collaborative efforts produced the desired results of beautiful design and craftsmanship and most importantly a happy customer!